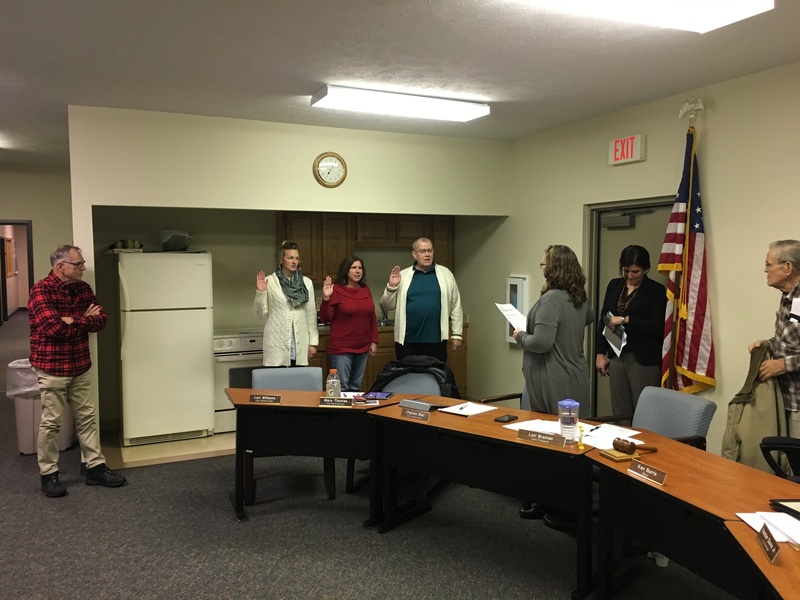 Stanton, Michigan – At the November 13 meeting of the Stanton City Commission, oaths of office were administered to Mayor Lori Williams and commission members Jane Basom, Vladimir Edelman, Ray Holloway, and Mary Thomas. Each member except Commissioner Edelman who will fulfill the remainder of Mayor Williams’s commissioner term, will begin serving their two-year terms. 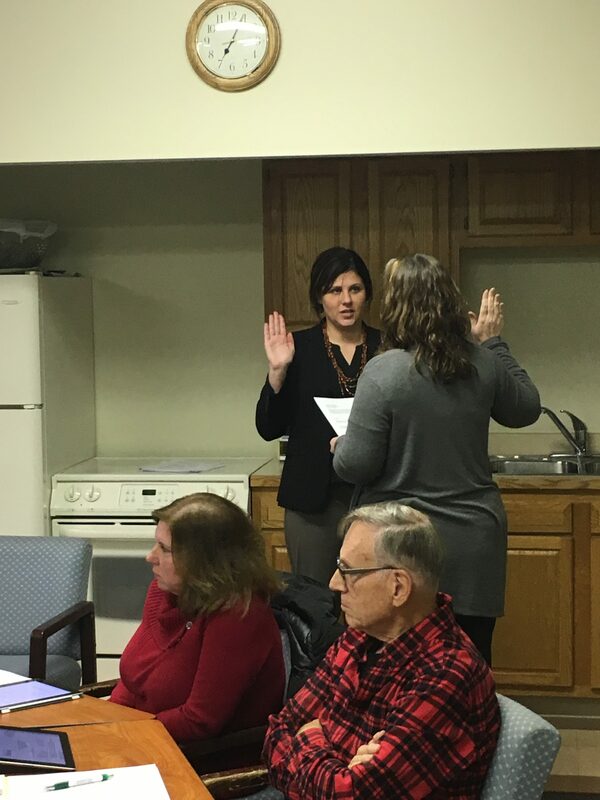 City Clerk Lori Braman administered the oaths of office. After the swearing-in ceremony, the new Council elected officers for the next year. Vladimir Edelman was elected Mayor Pro Tem and Ray Holloway was elected to serve as Commissioner representative on the Stanton Community Fire Department Board. Outgoing Mayor Ken Burris and City Commissioner John Seaman were recognized for their service to the City of Stanton.